ANGIODROID Srl, an Italian manufacturer of medical technologies, announces the CE mark for ANGIOPULSE, its first intra-aortic balloon pump (IABP) device. 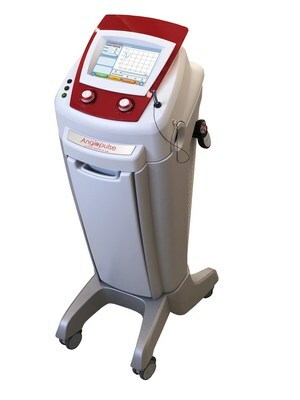 The new ANGIOPULSE IABP incorporates a new system for IABP management based on pressure regulation. Extremely sophisticated, ANGIOPULSE builds on the Italian experience of Angiodroid Srl (angiodroid.com), a company specialising in electro-medical devices, and opens up a new segment within the sphere of cardiovascular equipment. "It's an important step in the context of counterpulsation: now it will be possible to give IABP therapy focusing on pressure regulation" - explains Sebastiano Zannoli, Founder and CEO at Angiodroid. "Doctors will no longer be concerned with issues related to synchronising the console with heartbeat pulsation: this now belongs to the past." ANGIOPULSE is specifically designed for weaning situations, is suitable for all types of patients needing IABP therapy and contains powerful technological innovations that respond to critical issues raised over the years in the clinical world. The technological innovation of ANGIOPULSE is built into all of its components, guaranteeing an intuitive, effective and dynamic user experience: interactive touch screen, remote control via wireless interface, constant monitoring of therapy and interactive user guide. "Angiopulse, the new horizon in IABP" - continues Andrea Venturelli, a member of the board at Angiodroid - "extends the company's range of action to a new and exciting market segment aimed at the achievement of future goals."